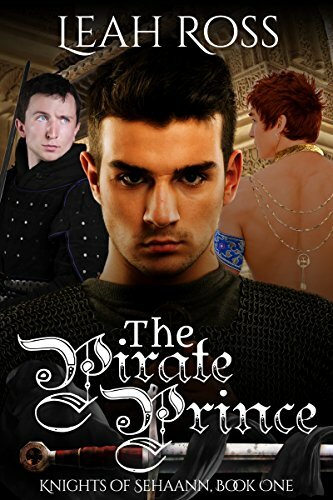 Suddenly, he’s ripped from his adventurous pirate life, summoned back to Sehaann The princess is dead and Oron is next in line for the throne Reluctant, resentful, the prince feels obligated in his duty The new role doesn’t fit him at all, though, and he finds much more than he expects within the palace walls. As captain of the Royal Guard, Deven is entirely too good at his job Recognized as the country’s best fighter, he’s sworn to protect his people and his prince with every skill in his arsenal His vow of service is paramount, even more important than heartfelt promises left behind in childhood To be a Knight of Sehaann is to fight for prince and country There’s no room between the constant stream of political threats for distracting emotion. Kavian is the palace’s finest pleasure slave Distraction personified Property of the crown, his job is only to ease the stress of the privileged aristocrats who have need of him He sees the things that the nobles hide from each other and hears their secrets He would be a formidable enemy if those who used him bothered to give him a second thought No one realizes that he’s an even more dangerous ally. Three lives are hopelessly tangled together in a web of jealousy, duty, and ambition that none will escape unscathed With opposition in every corner and every watchful eye looking for a weakness to exploit, one wrong move means treason, war, even death All of them must decide where their loyalties lie and which sacrifices are just too much to bear Oron knows one thing for certain, though If he’s going down, he’s going down fighting.